Isidro Cruz Killed in Heights at Chamblee Apartment Shooting; Was This Tragedy Preventable? Could this Chamblee apartment shooting have been prevented, and are justice and compensation available to Mr. Cruz’s family? 33-year-old Isidro Cruz was shot outside his home at the “Heights at Chamblee apartments in the 3000 block of Chamblee Tucker Road” Tuesday morning, September 25, 2018, according to The AJC. Police told the FOX 5 witnesses “heard an argument followed by a single gunshot.” Mr. Cruz was transported to a local hospital, where he tragically succumbed to fatal injuries. The complex was apparently under investigation by The Board of Health in February 2018, per CBS 46 reports. 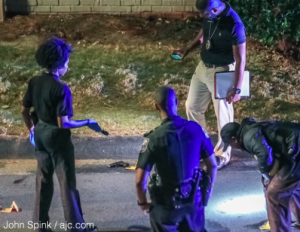 Was negligent security a factor in this senseless Chamblee apartment shooting? Read Our Legal Take below to find out if the victim’s family may have legal avenues for justice and claims for substantial compensation in Georgia. How did the gunman gain entry to the complex? What security measures, such as gated entry, bright lighting, monitored surveillance cameras, and security patrols, were in place to deter crime and protect Mr. Cruz at the time of the shooting? By law, property owners in Georgia are required to protect all those legally on the premises from any foreseeable harm. Should the facts of this matter reveal that the apartment complex owners failed to provide adequate security, the family of Isidro Cruz may seek justice and elect to pursue legal claims for his wrongful death.